bidim C Range nonwoven geotextile is the World’s first commercial conductive geotextile made possible with imgne® X3 geotextile graphene technology. 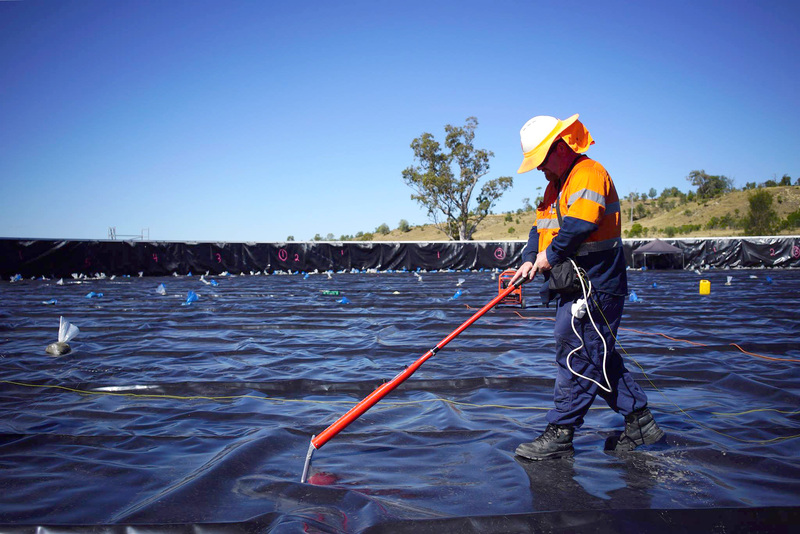 It has been designed to provide an effective, lower cost means for designers and installers of lining systems for landfill, tailings dams and water storage facilities to undertake liner integrity surveys in newly constructed containment cells, providing reliable leak detection of liner pin holes down to 1mm in diameter. bidim C Range offers an effective, lower cost means for designers and installers of lining systems to undertake liner integrity surveys in newly constructed containment cells. bidim C Range employs the power of imgne® X3 geotextile graphene technology to provide surface resistivity across the geotextile. Graphene, a two-dimensional sheet of carbon atoms, is the lightest, strongest, most electrically conductive substance yet discovered. Impermeable to all gases except water vapour. Anywhere a geomembrane is used. Using bidim C Range reduces the need for water in surveys as a circuit can be completed without using water and/or relying on a wet subgrade. This technology is particularly efficient in dual lining applications when installed below the primary liner. bidim C Range nonwoven geotextiles are manufactured in Australia to ISO 9001 standards and available in rolls up to 3m wide. They provide excellent filtration and feature a strong three-dimensional structure with high elongation. bidim C range nonwoven geotextiles also have a high melting point and high UV resistance. 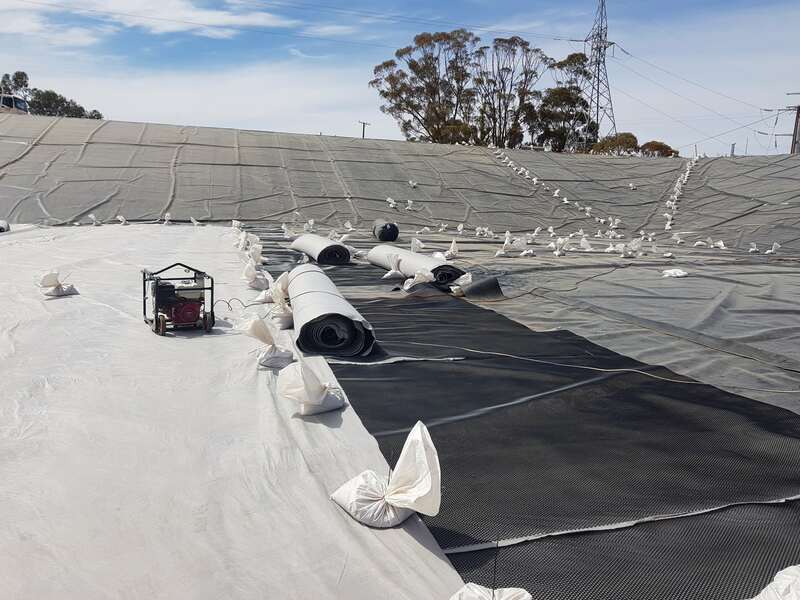 The technology built into bidim C Range only requires overlap of the geotextile to deliver the conductivity required for pin hole detection in a membrane layer above using standard liner integrity survey equipment. There is no welding required and the geotextile does not contain any wires - meaning installation does not require special skills or equipment. Just roll it out with approximately 100 mm overlap on all edges. Spark or arc testing can be conducted to ASTM D7953 at as low as 1kV.